We should probably expect idiosyncrasy from Lady Gaga considering her proclivity for jaw-dropping ensembles. But when Gaga wore a dress made of recycled coffee filters on Jimmy Kimmel Thursday night, we were still dumbfounded. The Fall 2014 Collection Gareth Pugh dress called to mind a very fashionable snowman with its flared skirt, voluminous capelet, and what appeared to be a very tall top hat. The outlandish singer labeled the dress an example of eco-minded "upcycling," causing us to daydream of the materials we hope Gaga up cycle in the future. We're sure the Little Monsters have contributed quite a few comments to Lady Gaga over the years, so why not make a dress out of the most impressive odes? Sure, it would be an incredibly diva-ish thing to do, but somehow we think she would get away with it. If Moschino, Chanel, and Anya Hindmarch approve of the fast food clothing trend, it must be time for the rest of the world to jump on board. Of course, it would be too easy for Gaga to simply buy a Moschino jacket with the McDonalds logo. It would be far more entertaining for the singer to take actual recycled takeout containers and create an ensemble. It would certainly make us think twice the next time we reach for a Big Mac. We may not understand very much about Lady Gaga, but we do know she loved a good headpiece and a quirky pair of frames. Having been in the public eye since roughly 2008, we estimate she has upwards of a thousand hats and sunglasses in her arsenal. Why let the accessories go to waste when she could fashion a unique (if uncomfortable) dress of sunglasses lenses and headpieces? 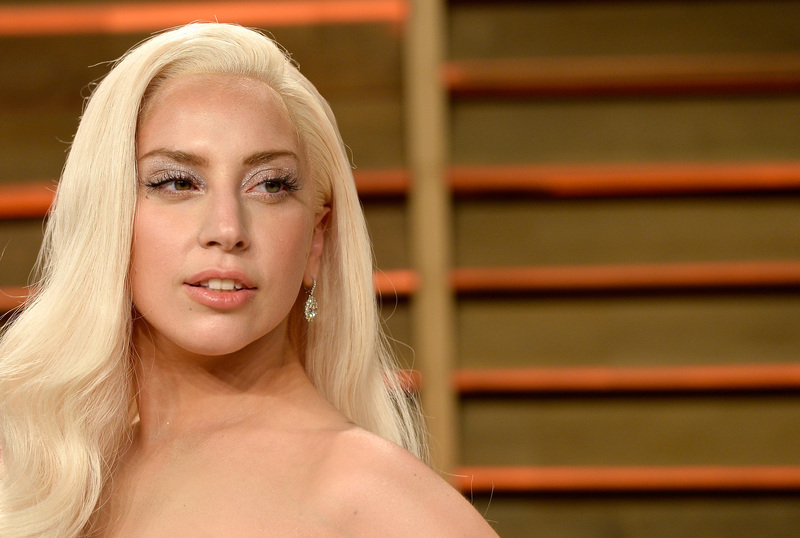 If Gaga's songs are any indication, the singer loves a drink now and then. And for the sake of satisfying our curiosity, we would love to see Gaga in a dress made out of her recycled liquor and beer caps. Lady Gaga loves to make a statement with her ensembles, and though we may not understand her objective 100 percent of the time, she occasionally cuts right to the chase. Considering her recent outcry against photoshop in Glamour, it may behoove the singer's cause to wear a dress of un-retouched magazine covers. That is, if such photos do exist.